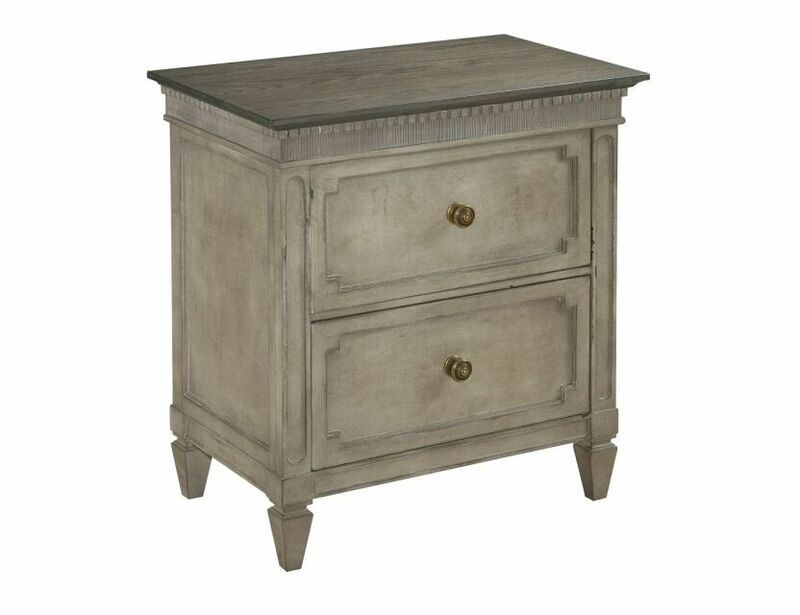 Two drawer nightstand is the perfect complement to any bed in this group. Adjustable levelers and USB charging port and two outlet plug on back is a great addition to any bedroom. Mocha elm finish top finishes out this great piece.